Spaceship corridor, with door being opened by blow torch. 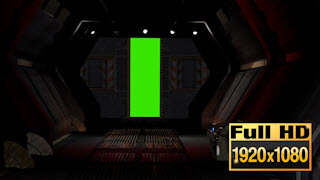 Behind door you have a green screen which you can easily replace in most video editors for example Camtasia. Camera pan, left to right.